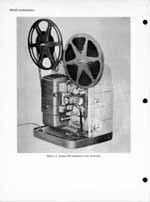 Bell & Howell Autoload 8mm Projector Model 245 Service and Parts Manual Discounts Apply ! 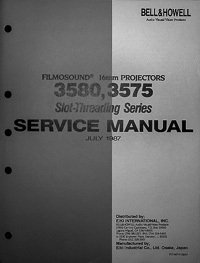 Excellent quality photocopy of the original 1961 Service Instructions and Parts Catalog for the Bell & Howell Design 245 Projector. This 22 page manual is printed on double sided 8-1/2" x 11" heavy weight paper and it contains five 11" x 17" parts list fold-outs just like the original. This manual has a card stock cover and is plastic comb bound so it will lay flat on the workbench. 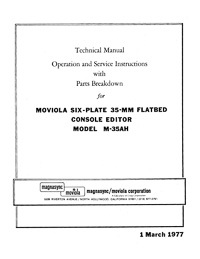 The heavily illustrated service manual contains sections on introduction, disassembly, reassembly, final test and a complete troubleshooting chart. 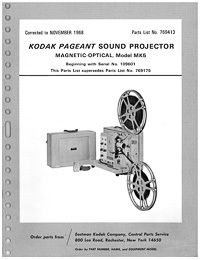 The parts manual contains complete exploded parts views and parts lists.